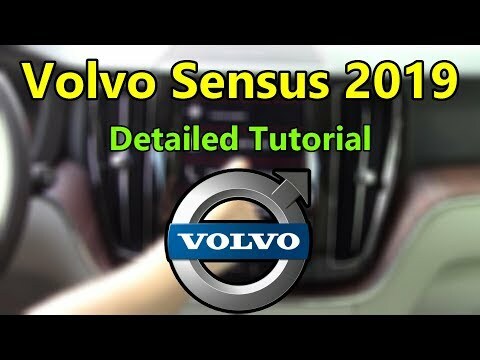 This Tech Help Tutorial and Review will look at the UPGRADED 2019 Volvo Sensus Connect touch screen infotainment system. 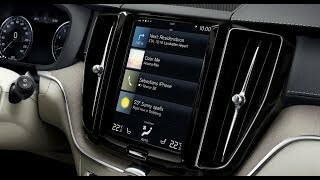 This is seen in all 2019 Volvo products, including the XC40, XC60, XC90, S60, S90 and several others. 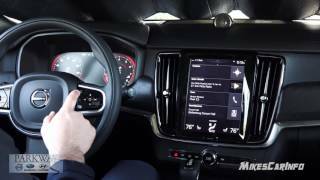 We will be looking at the app suite, WiFi, Apple CarPlay, Android Auto, Integrated Navigation, Volvo on Call app, AT&T Data Plan and much more. Please subscribe for lots of diverse automotive content! 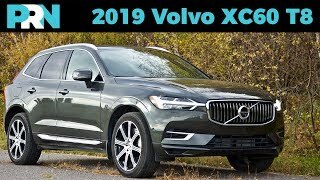 *The vehicle shown in this video is a 2019 Volvo XC60. 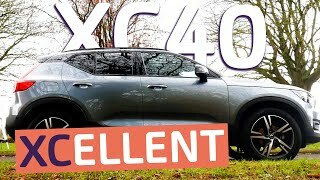 If you would like to see the Full Review on this vehicle, follow the link in below. Car Confections - "Sampling the Latest Automotive Delicacies!" (C) Car Confections 2018. All rights reserved. Glad to hear you found it helpful! We tried to be as thorough as we could! And you can do ALL this whilst also trying to drive! Think I'll stick with the idrive system in my X5! I bought one of these for my wife in 2017. In 36k miles I've had to repair under warranty the following: 2 headlights due to moisture, all brake pads and rotors on three separate occasions (soon to be 4 times as the issue persists), wiper blade control lever, hvac vent cleaning for mold/smell, hood latch under the dashboard and I know I'm forgetting a few other things. I'll edit this post when I check my records, but my point is that this new xc90 has severe flaws in its components and I'll be getting rid of it as soon as warranty expires. Not sure if I got a lemon or some early model/generation woes but I've never owned a brand new vehicle that has spent at least 100 days at the dealership for warranty repairs. 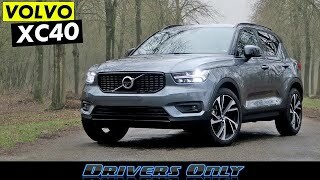 Oh and volvo corporate, when contacted, said that my xc90 service history is not atypical from other owners and that they can't help me with anything such as a customer trade in assistance so that we can move on to a more reliable Volvo. 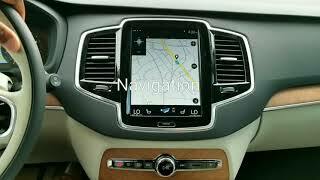 Although we love the design of Volvo I think this will be our last one. 5 stars video, but I am still not sold on this "tablet" thing. XC90, Q7 or Touareg? 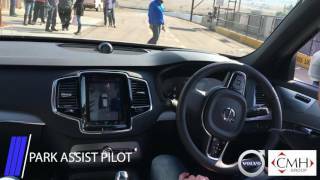 The best vehicles would be one with the X90 Exterior, Q7 Technology and Touareg dashboard. Thanks for the wonderful review. 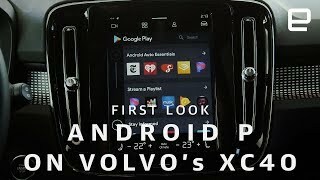 I got my XC60 3 days ago and i havent tried to read the manual and make any changes. With this review I know what to do when I get into the car. Purchased mine about three weeks ago. Although I am a technology geek, these YouTube videos are exceptionally valuable. My first Volvo and extremely impressed. Best of luck with your XC60. Glad you found it helpful! And congrats on your new XC60!! Looks like very little has changed in the menu systems since the previous version. My understanding is the firmware has been updated and is less prone to crashing... is this true? 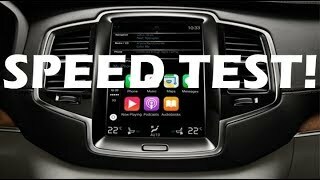 I tested a XC60 T8 3 months ago. My major concern (and my wife) was adjusting the temperature while driving. Salesman shown us how to do it before we went for a drive. When we tried it on the move, the system froze TWICE. Needless to say, we did not order the car. I love to XC60/90, but I feel (like many, many others), that climate should be buttons/knobs - like Lexus/Mercedes are still doing. in my '17 V90, I just tell the car to change or set the temperatures. No need to take eyes off road. This also works for the seat and steering wheel heaters. 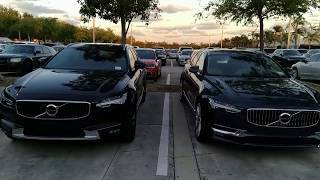 I drive a v90 model 2019 now for 3 Monti’s, never had a crash. Car Confections Thx for the quick reply. I shall maybe test again. Undecided between the XC60T8 and the Lexus RX450hL. 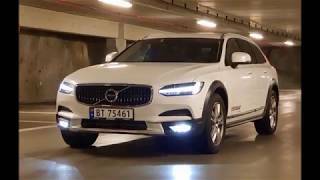 While I haven't had the privilege to live with any of the new 2019 Volvo's, I can say that the system was much more stable in our 6 hours with an XC60/90. The hardware is more power to help ward off as many performance issues. Thanks for watching! Thats a great and detailed video. At the end of the video you mentioned the Sensus Connect is $20/month? Can you elaborate? Are you saying if you don't pay the extra $20/month, you won't have access to many Sensus Connect features, or just the Wifi Hotspot? Thanks for the video! 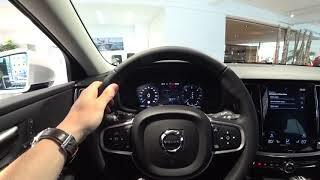 I own this New Volvo XC90 and love it! Nicest car I’ll ever own which will last forever. If you’re in the market for a luxury SUV AWD test drive this one and you’ll see why it’s the safest vehicle on the road!! How can they updated in 2019 when we are still in 2018? 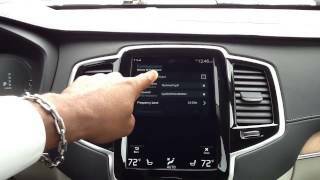 TSTESTE P Wi-Fi network must be WPA2 encryption to connect with your Volvo car. Volvo Sensus is killing it. Not even Lexus or onother Japanese car manufacturer is this sophisticated. Car Confections 4 years with new logo and you still don't know that? At what point do you run head on into a semi truck while trying to do all this? Not sure auto-braking when you veer into a head on tractor trailer is going to help all that much. Will it smartly drive you into the ditch to avoid the head on collision? 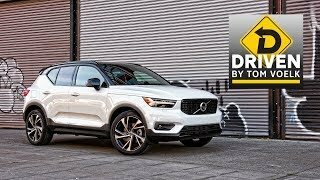 Very helpful review to me as I am considering purchase of a 2019 Volvo. 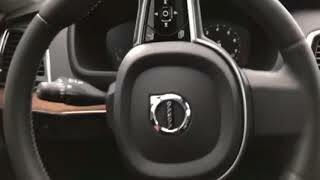 Have you confirmed that the auto start-start setting is “latched” and does not reset to the “on” position upon the next startup of the car? Rob Schermerhorn this is very good to know! Thanks for confirming this. For MY19 start/stop, once deactivated, never returns to 'enabled' until you re engage the feature, forever. This is independent of 'Individual' drive mode. Older Volvo cars cannot be updated, due to EPA regulations. 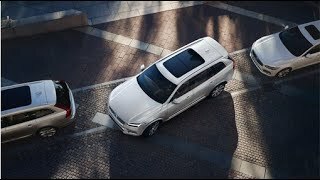 papoopa5800 what reasons can you give for buying the XC60 over the XC90? Get the new S60. It’s my dream car and hope to buy it when I sell my Accord. Great detailed video. I want this Volvo so bad! I can't think of a hotter crossover for that size on the road today. 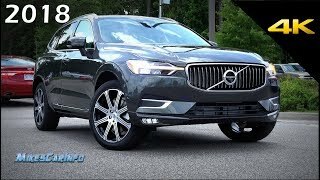 2018 Volvo XC90 - Self-park - Is it worth it?